NEW YORK, NEW YORK…We Love you! As Alicia Keys sings…Yeah, Yeah, In New York, Concrete jungle where dreams are made of. There’s nothing you can’t do. Now, you’re in New York…and now, there really isn’t anything that You and your Dog can’t do – when you’re in New York. 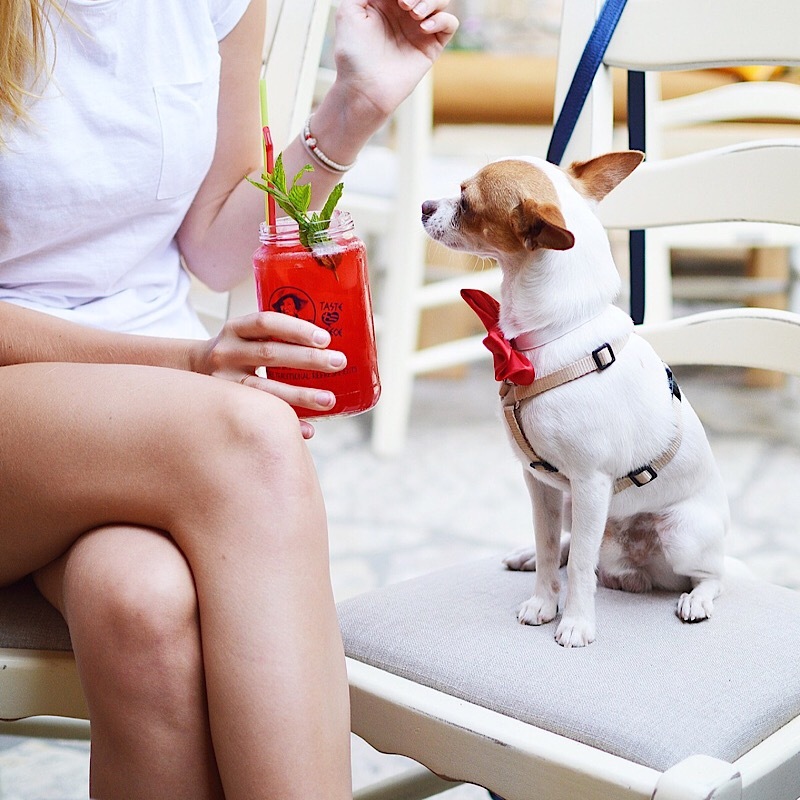 On Tuesday, March 15, 2016, New York City’s Health Department announced new rules that permit New York City restaurants, with outdoor dining areas, with permission to welcome Pet Parents and their dogs to dine together on their patio, sidewalk or backyard spaces. The regulations announced will permit pet parents and dogs that are licensed and vaccinated, to dine together at participating restaurants – on their outdoor patio. Dog’s also must be on leash and of course, accompanied by a human dining partner. Dogs may also not be in areas where food is prepared and are not permitted through the main entrance. Restaurants allowing dogs in outdoor areas must post a sign to alert customers that dogs must be licensed and current on their rabies vaccination. Participating restaurants must also use barriers or other methods to limit contact between dogs in their outdoor dining area from dogs and people on an adjacent sidewalk. Restaurants must also have a separate entrance for dogs. Previous to this new rule, New York City restaurants were required to restrict dogs to the area outside the patio railing. As a native New Yorker and PupSize® Pet Parent – Thank you New York City, Assemblywoman Linda Rosenthal and city Health Department. The hardest part of traveling with a dog has always been figuring out what to do with my fur baby during meal times. We also must mention that New York joins a growing list of cities and states in the U.S. that have laws that permit dogs to dine with their human companions on restaurant patios. Denver, California, Minnesota, Knoxville, Austin & Dallas, Texas, Baltimore, MD., and Wisconsin have all followed the state of Florida, who were the first to allow dogs on restaurant patios, in 2006. We are packing our bags and can’t wait to dine outdoor, in New York City – where there is nothing You and your Dog can’t do together. Thanks for the articles about pet dinning!